Missed the first part? Grab it here. Scrolling through Facebook that day brought a bit of sadness, glimpsing all those photos of a white Christmas in Little Rock, of all places. I’d prayed for that so many times for my kids. Well, and myself. But a few minutes later, I was playing Christmas music while I spread mayo for sandwiches. Some old lyrics belted out:Haul out the holly/ Put up the tree before my spirit falls again… And I realized, that was why I wanted to be there, enjoying the snow (not to mention the family!). 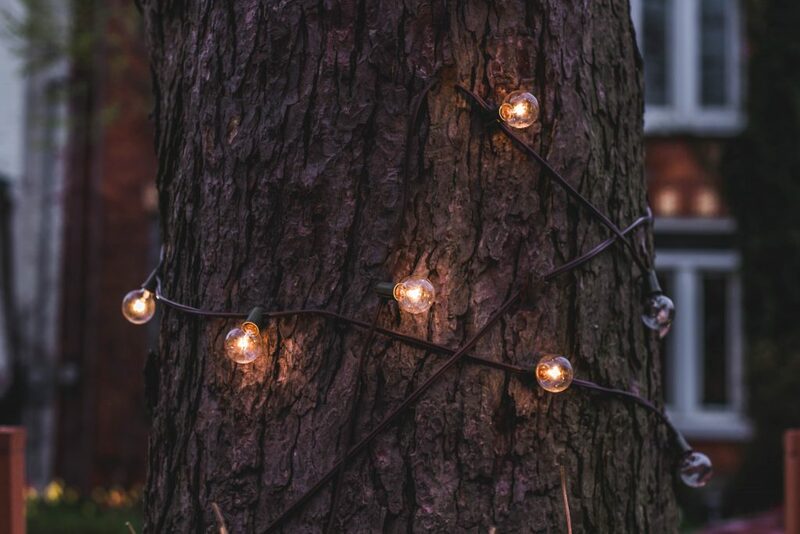 I longed for the emotion of that holiday sparkle; the cozy magic that, with all the right elements, seems to frost everything with light and togetherness and fun, muting the rough edges. There’s a very good place and reason for my longing, which recalls our built-in cravings for Heaven. I would have called it holiday spirit, and in ways, it is. But Christmas in East Africa was more in the Christmas spirit than I could have hoped for, even though the weather was decidedly a breezy 75 (that’s 23 in Celsius). Our December 25 was actually one of the best, but not in the ways we’d expect. There were so many opportunities to do good everywhere you look–you know, that “harvest is plentiful” thing. It felts like opportunities to give and serve and welcome people are just hanging around, ripe fruit waiting to be plucked. It kept shoving us out of our comfort zone and into our community. 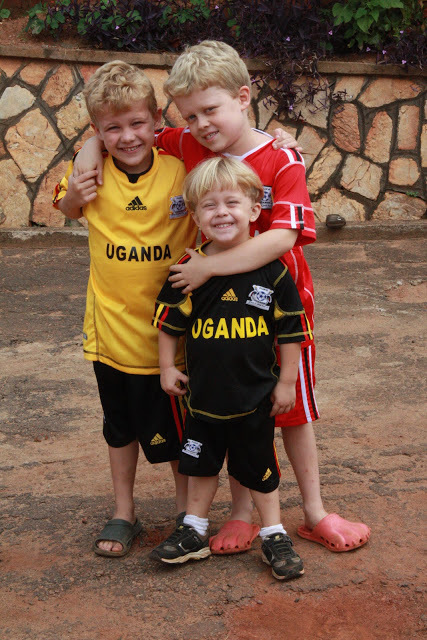 My boys all loved their matching Uganda Cranes soccer (football!) uniforms. Another unexpected friend shared dinner and our game night with friends. My husband carried out a Christmas-y little plan, complete with catered holiday dinner, for our organization’s security guards who couldn’t return to their villages for Christmas. They were thanking him so profusely. Seeing my husband there with his gift of giving continued to amaze me. He always seemed to have some idea to be generous in quiet, surprising ways. So our holiday was less our traditional day together: tropical, decorated only with our hand-me-down tree, simple and purposeful as far as gifts go (when a friend of a friend totes them over in spare baggage). And still, it was more Christmas than we’d planned. Bonus: The next day was one of our first days in Uganda to be alone as a family, and the weather was beautiful for us to play new board games, watch The Nativity, and relax together. And oddly, there’s a connection with Jesus I hadn’t quite anticipated–a tiny new way I could understand him and his path here on this dusty planet. 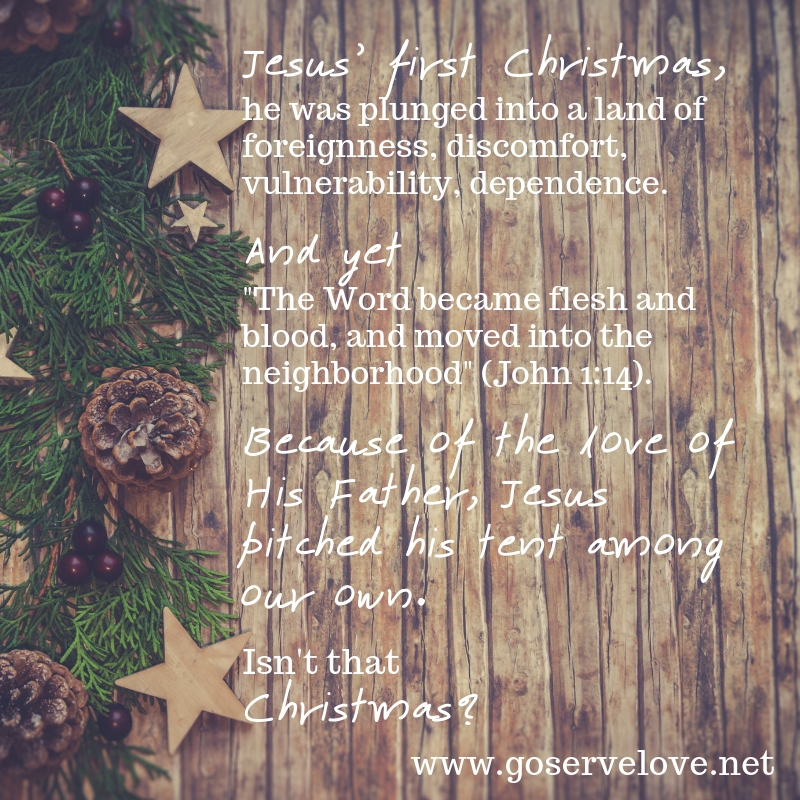 His first Christmas, he was plunged into a land of foreignness, discomfort, vulnerability, dependence. And yet, as The Message puts it, The Word became flesh and blood, and moved into the neighborhood (John 1:14). Because of the love of His Father, Jesus pitched his tent among our own. More than anything, isn’t that Christmas? All in all, our first African Christmas mimicked out first year: Strange. Full in every sense of the word. Both lonely and suddenly full of community. Unexpected.